A handy six-pack of distress signals. Keep in your vehicle and be prepared for emergency signaling and safety. 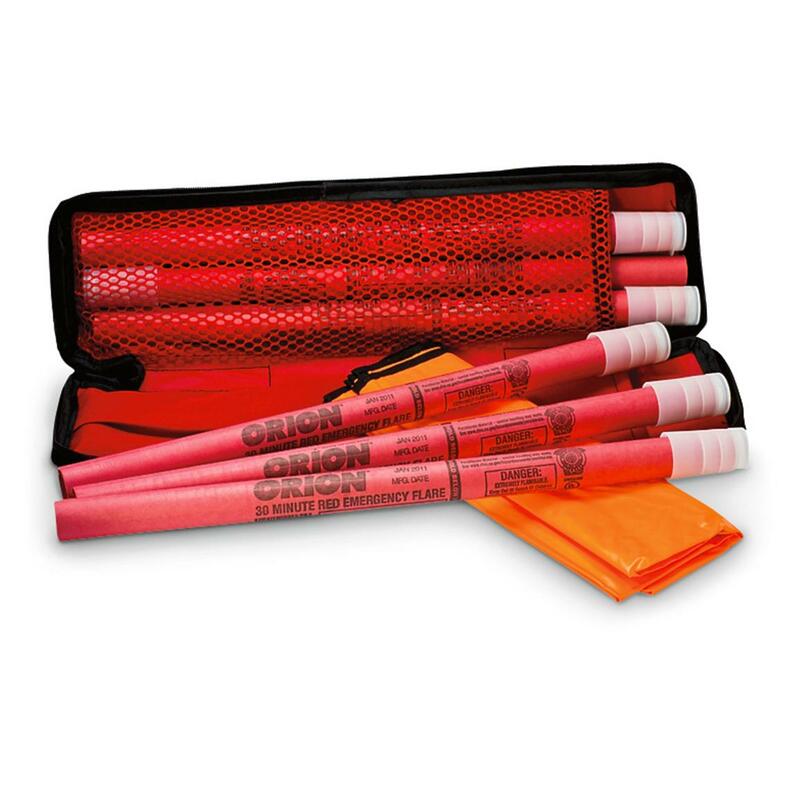 Flag down help with the use of these Flares and the included Orange vest. Order today and stay safe! 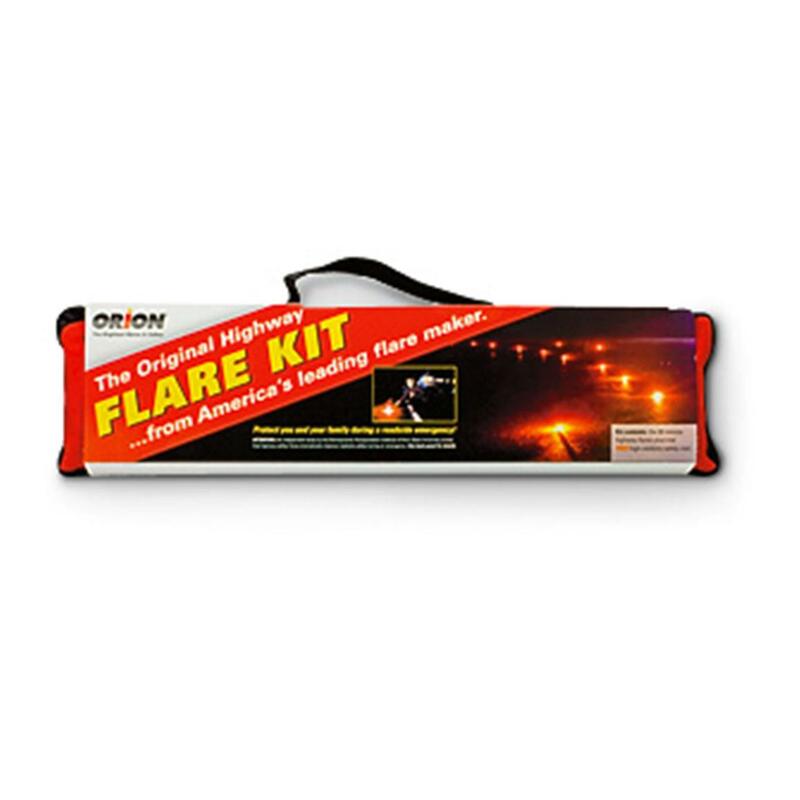 Orion Emergency Flares, 6 Pack is rated 4.7 out of 5 by 33. Rated 5 out of 5 by oldmarine from Road Flares Bought these to have in case of a breakdown at night. Came in a really nice case. 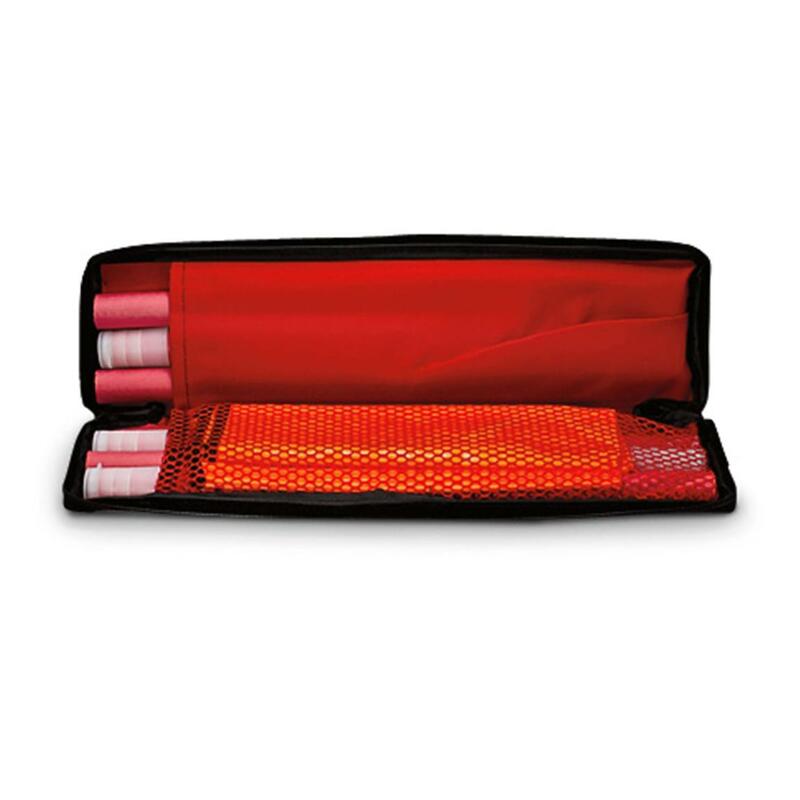 Rated 5 out of 5 by Dave M from Good Safety Pack for Trunk of Car This set was much better quality than expected and comes with a handy storage pack, safety vest and ignition system. It is a bit expensive but looks like it will have a long shelf life and could become priceless in an emergency situation. Rated 5 out of 5 by Mr Mo from Very useful Purchased to replace old flares. Finding them in a bag is very convenient. Rated 5 out of 5 by Outdoor Bob from You never know when you might need flares! These brand name flares came in a nice carry case with a orange vest inside. You just never know when you might need flares to keep you safe while changing a flat tire on a busy highway! Rated 5 out of 5 by Backson from Good value These flares are well packaged and cost less than equivalent item in big box stores. Rated 5 out of 5 by Hank from When needed. A must have if you are a driver after dark. High quality and proven tool to keep you and others safe after an incident. As a retired FF, I have stopped at motor vehicle accidents, and at least pop a few flares for scene safety. Then attend to others on scene. They last long after expiration date. The price is right.